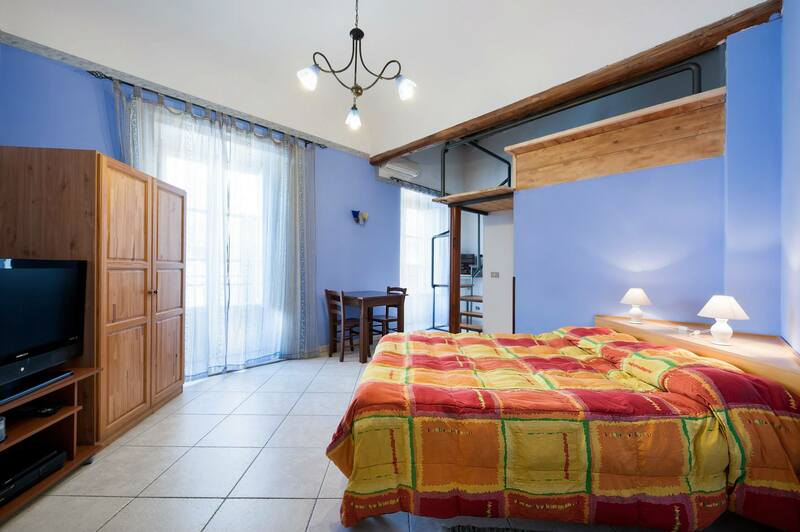 „Romeo&Juliet“, the „romantic“ par excellence, is a double room with an extraordinary arrangement of the bed. The two guests of this room will benefit from two independent balconies with down to floor level windows and enjoy a fancy bathroom. Its colours, the blue of the flower wisteria together with white, create a calm atmosphere, which is why the room is a perfect bed-chamber of love.